Bearing Cone & Cup LM603049 / LM603011 You must be a registered to see price and/or purchase. Bearing Cone & Cup LM29749 / LM29710 You must be a registered to see price and/or purchase. Bearing Cone & Cup LM11749 / LM11710 You must be a registered to see price and/or purchase. 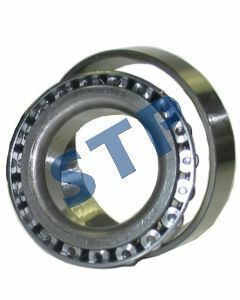 Bearing Cone & Cup L44643 / L44610 You must be a registered to see price and/or purchase. Bearing Cone & Cup L44649 / L44610 You must be a registered to see price and/or purchase. Bearing Cone & Cup 30205 You must be a registered to see price and/or purchase. Bearing Cone & Cup 25580 / 25520, JD7395 , JD7418, JD7590 You must be a registered to see price and/or purchase. Bearing Cone & Cup 15123 / 15245 You must be a registered to see price and/or purchase. Bearing Cone & Cup 30206 You must be a registered to see price and/or purchase.